Before we all became obsessed with ‘taking it out of the box’ , spare a thought for this man , who never even entered the box. Another legend who operates under many pseudonyms , in this case – The Octagon Man – aka J Saul Kane. He produced things that preceded out of the box before we ever knew there was one. Listen , enjoy , and seek him out. 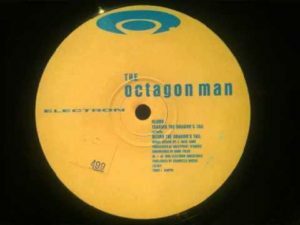 Octagon Man – the Sinchi collective hear you !